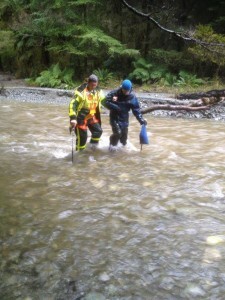 A lone hiker who activated his Ocean Signal rescueME PLB1 while suffering from hyperthermia in heavy rain and wind in an isolated area of New Zealand’s South Island has thanked his rescuers. 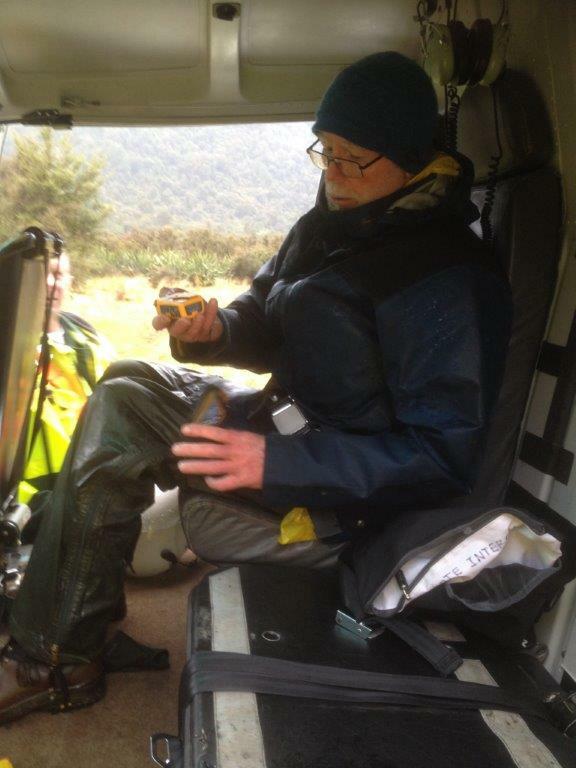 Experienced and well-prepared bush walker Warwick Ross was attempting a circuit hike by the Pyke River in the south west of the island in August when deteriorating weather conditions and rising river waters left him stranded and close to exhaustion. Unable to shelter from the rain and with no prospect of anything warm to eat or drink, Warwick made the decision to use the rescueME PLB1 attached to his belt. A short time later, he spotted the helicopter overhead and was flown to safety, treated for mild hyperthermia and was able to make a full recovery. Warwick said: “I found myself in a situation by the Paulin Creek where I couldn’t go forward or back and I was unsure if I could stay where I was if the water kept rising. The shakes and the numbness were getting worse. I had to get shelter, get dry and get something warm into me. I knew I could do none of these things and it was still raining heavily. “I wondered about the PLB on my belt, but I had to be sure in my own mind that my situation was dire. I found myself reaching for the beacon and I was suddenly very clear that it was an appropriate use of it. I pulled out the aerial, opened the flap and pressed the button. After that I felt a little better, having done something positive to deal with my situation. “When I heard the helicopter, it was a good feeling and I could feel a lift in my spirits. Two men were then directly across the river from me and one, named John, helped me across the creek. I was on the chopper and getting a cup of coffee in a few short minutes. 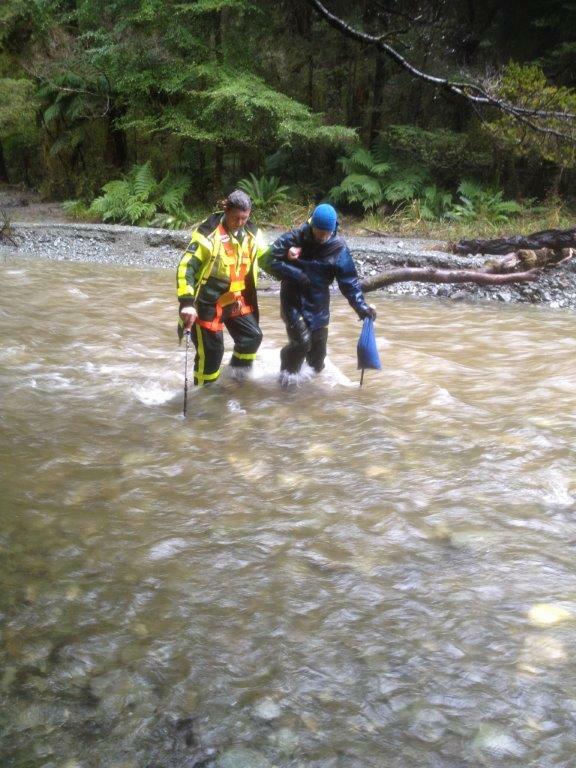 Warwick had prepared and planned for months ahead of setting off on the Pyke River, Big Bay, Hollyford circuit. Although it was a challenging hike, he was confident that it was a sensible time of year to go and he had the necessary skills, including route-finding, to complete the trek. After a testing first three days, the situation started to get serious on the fourth night by the Pyke Crossing when he was unable to pitch his sodden tent or heat any food and drink. As he become progressively more cold and tired and weighed down by wet gear, Warwick took the decision to call for rescue. Ocean Signal’s rescueME PLB1 is the world’s smallest personal locator beacon and is specifically designed to be small and light enough to carry or attach to clothing for instant access to emergency services at the press of a button. For more information on Ocean Signal products, please or go to the website at www.oceansignal.com.